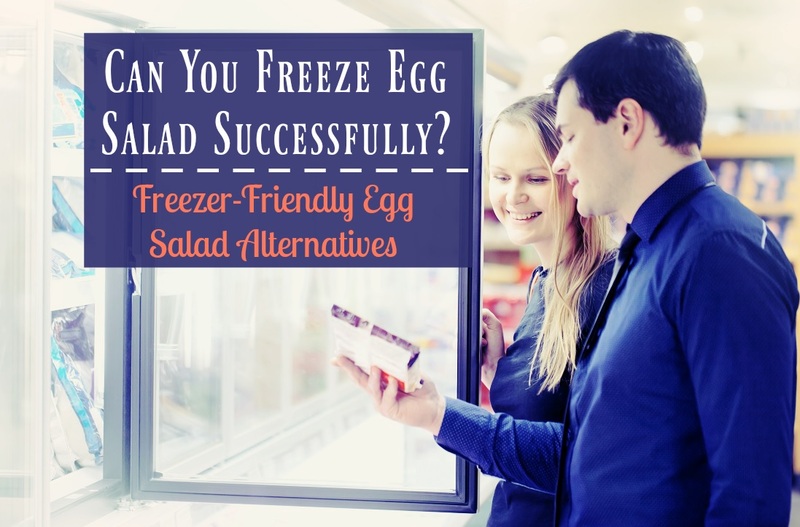 Home » Blog » Can You Freeze Egg Salad Successfully? When you have a busy schedule, one of the better ways to free up time is to prepare meals in advance and store them for eating on your busier days. Nothing beats the convenience of pulling a container out of the freezer and enjoying a homemade meal without the work. Before you try it, though, you need to be sure that the food you’re trying to store is freezer-safe. Not all foods do well in the freezer! Some foods reheat perfectly, but others fall apart upon thawing. Egg salad is one of those foods that just isn’t the same after it’s been frozen. Whether you’re trying to make meals in advance or have an excess of egg salad you’re trying to deal with, the freezer is not your friend. Let’s take a look at why that is and what alternatives are available. Why Some Foods Freeze Better Than Others? One of the primary rules to follow is that creamy foods don’t freeze well due to the separation that happens. Another rule is that the texture of a food will change after freezing more often than not. A freezer works to protect food by reducing temperatures below the threshold where food borne bacteria can survive and multiply. This prevents spoilage as the microorganisms don’t have the opportunity to break down the food. Unfortunately, bacteria and mold spores aren’t the only things affected by freezing temperatures. Food items themselves can be damaged by freezing. The primary type of alchemy caused by the freezer is a change in texture: Foods that go into the freezer can often become mushy or runny and unappealing once they thaw. This is due to the way that water behaves when frozen. Water is unique in that it expands when frozen rather than contracting. If you’ve ever filled a container with water and put it in the freezer, you know what happens once the water turns to ice. Water inside of food does the same thing. When the water freezes, it forms ice crystals that expand. Once the ice melts, you end up with water that hasn’t incorporated with the rest of the food, leading to the soggy or mushy thawed item. This is great when you’re freezing pie filling, which benefits from all the extra juice. When you’re looking at something like an egg salad, however, the results are disastrous. Egg salad traditionally combines hard-boiled eggs with mayonnaise. Other ingredients like celery, dill, mustard, salt and other flavorings can be added to perk up the flavor. Beyond the flavor add-ins, though, what makes egg salad particularly delicious is its texture. The mixture of yolk and mayonnaise creates a creamy, decadent vessel for the bits of hard-boiled whites and mix-ins. Spread between pieces of bread or rolled up in a wrap, egg salad is delicious and simple. Unfortunately, it’s also made up almost exclusively of foods that don’t freeze well. Commercial mayonnaise has some additional ingredients that help to hold the emulsification together and keep it stable in the fridge. These emulsifiers can’t hold up to freezing temperatures, however, and the mayonnaise will separate after being thawed. Moisture escaping from the mayonnaise will drip out, making for a runny and unappetizing experience. Eggs themselves only freeze well under certain circumstances. Scrambled eggs freeze beautifully. Unfortunately, hard-boiled eggs lose their texture and become unpalatable upon thawing. The whites will lose their moisture, leading to a rubbery texture after thawing. When mixed into an egg salad, this extra moisture will accumulate alongside the liquid drained from the mayonnaise. The end result of all of this is a salad that thaws with a puddle of excess moisture that cannot be reincorporated into the mixture. Even if you drain off that moisture, the creamy texture of the egg salad will have been lost. It’s really best to avoid the problem altogether by never putting your egg salad in the freezer. How Long Will Egg Salad Keep in the Fridge? By now, it should be obvious that egg salad doesn’t belong in the freezer. However, that does not mean that you have to consume it immediately after making it. Stored properly, egg salad will last several days in the refrigerator. Like a freezer, the refrigerator works by keeping food cool enough to slow down bacterial growth. This delays food spoilage and helps to keep your food safe. However, pathogens can still move around at refrigerator temperatures, so food stored in the fridge will still spoil after a few days. Egg salad should be kept in an airtight container. 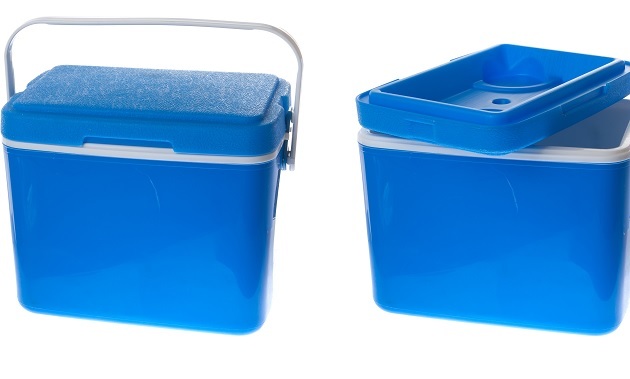 When storing food, be sure to keep it out of the “danger zone,” which exists between temperatures of 40 °F to 140 °F. That is the perfect temperature for bacteria to develop, and the pathogens that cause food poisoning love moist foods like prepared egg salad. If you’re taking your egg salad on a picnic, be sure it’s packed into a cooler where the temperature will stay safe. Is Egg Salad a Good Make-Ahead Lunch Option? Based on its poor freezer performance and short refrigerator lifespan, egg salad is not an ideal candidate for a make-ahead meal. However, it does do well in the fridge for a couple of days, which can make it a good candidate for certain types of make-ahead preparations. Egg salad is often at its best after it’s been left in the fridge for a few hours or overnight. This gives the mixture time to become firm and for flavors to meld without any risk of separation or spoilage. Therefore, the best time to make egg salad might be the night before you intend to eat it. If you’re packing a work lunch, try making a batch of egg salad the night before. For best results, pack it separately from your bread and assemble the sandwich right before eating. This prevents the bread from getting soggy. Since egg salad can last up to five days in the refrigerator, you can make a batch large enough to last all week as long as you don’t mind eating the same type of sandwich every day. If you’re looking for a sandwich filling that can be made in bulk and frozen for a make-ahead meal, there are plenty of options. Peanut butter makes a good base for freezer-friendly sandwiches; try mixing up grated carrot with crunchy peanut butter for a nutritious and hardy sandwich filling. Meatballs are another great freezer-friendly sandwich option. When you’re ready to assemble your sandwich, just drop your frozen meatballs in a container of spaghetti sauce, microwave until it’s thoroughly heated, then spread over the bread of your choice. If your heart is set on a creamy egg salad alternative, however, you’ll need to get more creative. Tuna salad, chicken salad, ham salad and chickpea salad all traditionally rely on mayonnaise as a binder. Some make-ahead meal experts suggest that Miracle Whip dressing freezes better than mayonnaise. 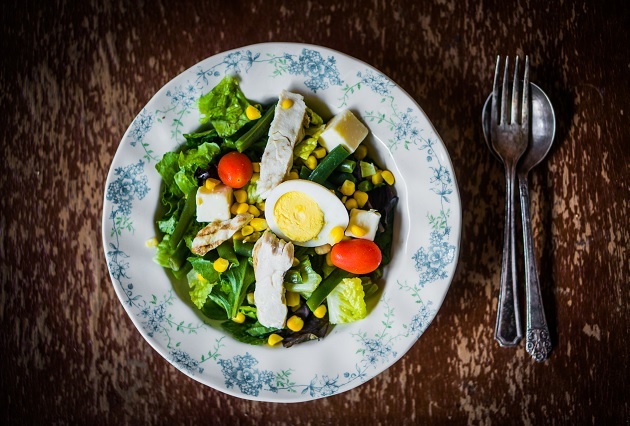 You may get some mileage from experimenting with Miracle Whip salads; just bear in mind that the flavor will be different due to the sweet, tangy flavor of the dressing. You might get similar results from experimenting with whipped dressing and cream cheese in other types of creamy salads. You can make egg salad at the beginning of the week and store it in the fridge for several days. You can prepare sandwich fillings from freezer-friendly ingredients. You can experiment with mayonnaise alternatives to create a creamy salad alternative. 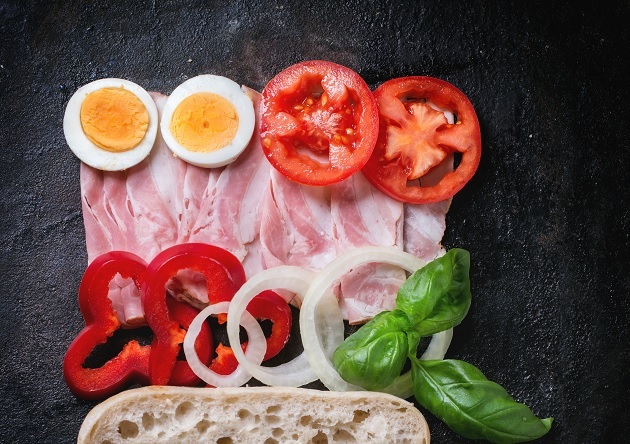 Depending on your needs, tastes and preferences, any of the above options could lead you down the path of culinary success.